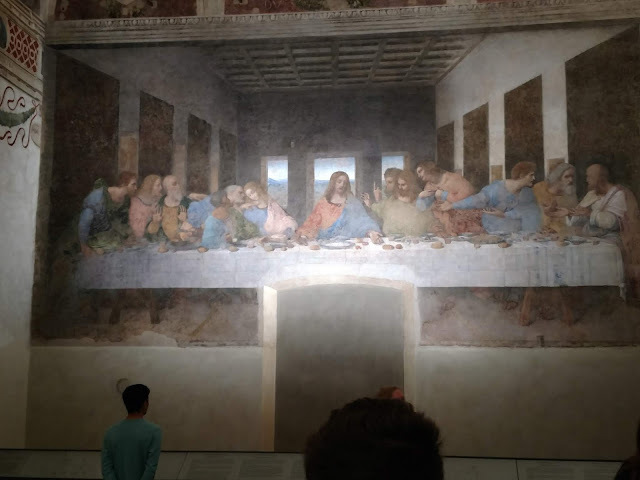 The group started the day off pretty early, leaving at 7:45 am for a visit to Santa Maria delle Grazie to see The Last Supper, along with a painting of The Crucifixion by Giovanni Donato da Montorfano. We had to wait a while outside the church before getting in, and it served as a great opportunity to get a group picture. 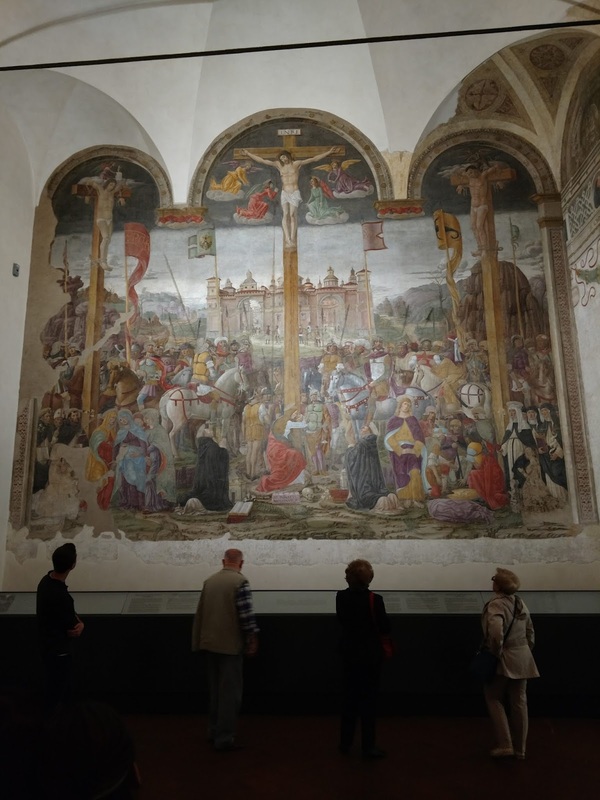 Once inside, we had the chance to walk between the two magnificent paintings for 15 minutes or so. The photo below shows The Last Supper and some onlooking students. And, of course, The Crucifixion. 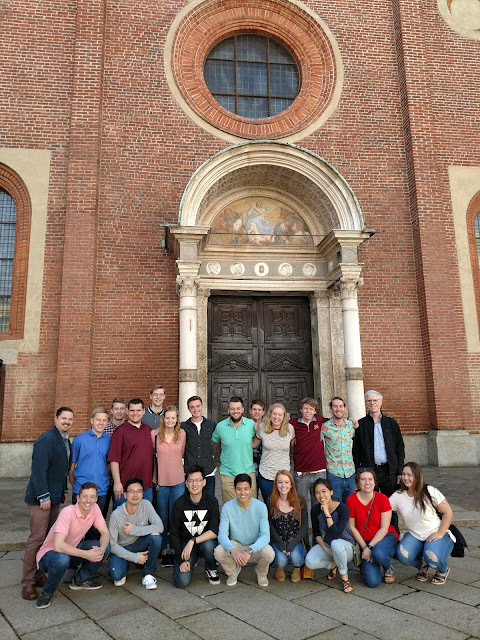 Afterward, we took a two-hour bus ride to Turin for a technical visit at Politecnico di Torino, a large engineering and architecture specialized technical college with approximately 40,000 students. 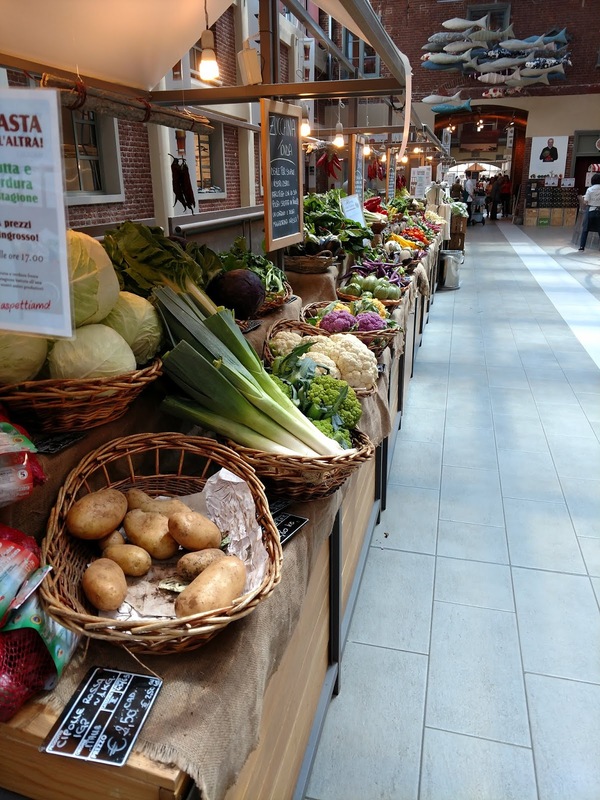 Before that, however, we had the chance to spend about one and a half hours at a charming market called Eataly, where many of us bought some fruit, pasta, or veggies from the market, as well as a lunch before we had to take off again. At the university, the group first met with Prof. Marcello Chiaberge to learn more about the program he runs, which is the Polito Interdepartmental Centre For Service Robotics (Pic4SER). We learned about cool drones being developed there for important real-life applications such as precision agriculture, smart city development, and search and rescue missions. Later, we transferred rooms to learn about more projects that students were working on. Examples include a controllable robotic arm that integrates ROS (robot operating system) and Docker, as well as a robot that can successfully move across a room to a specific goal location, avoiding obstacles along a way. Here is a picture of one at the beginning of its demonstration. Afterward, we headed back to Milan, with most of the people sleeping on the ride back. The rest of the night was left free for people to explore Milan, or do whatever else they pleased. It was a long day, but definitely a great one!